Another adorable classic design from the incomparable Heidi May of The Velvet Acorn. 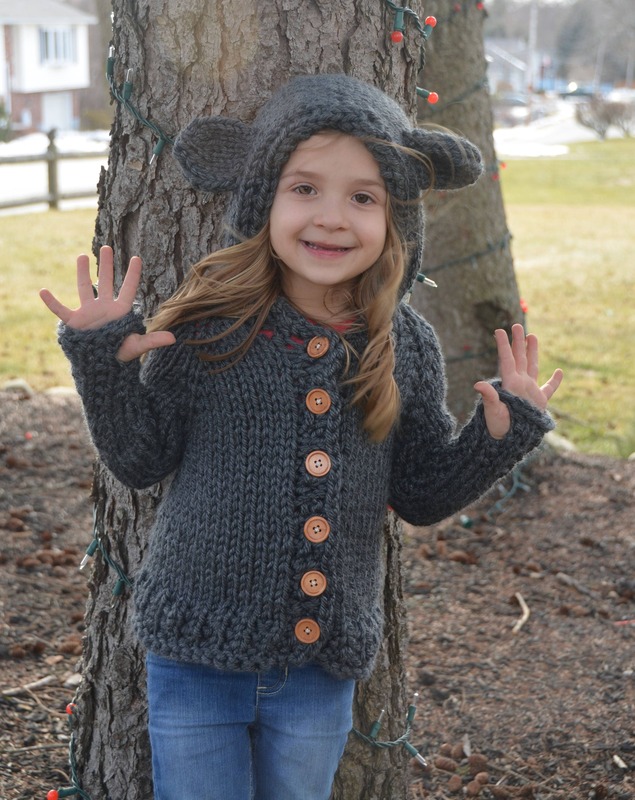 The Bladyn Bear Sweater is a hooded cardigan featuring bear ears on the hood. The extra-long sleeves partially cover the wearer's hands, and have a thumb opening to hold the sleeve in place.